Set in 1980s France, Antoine Laurain’s collection of interconnected stories follows the mysterious trajectory of François Mitterand’s iconic hat, left behind in a restaurant, which acts as a catalyst for four individuals who find themselves stuck in their stagnant lives. 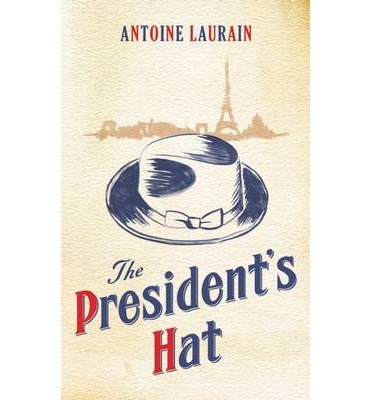 The President’s Hat seems to be a light book with hidden depth. Daniel Mercier is an office worker, caught in-between promotions and working under a pompous and self-serving middle boss. With his family away, he decides to dine out alone and enjoy a seafood platter with some white wine just like in his bachelor days and finds himself seated next to the President of France. When he discovers that Mitterand has left his black felt hat behind, on a mad whim, Daniel takes the hat and finds his life quickly transformed for the better. Translated by Louise Rogers Lalaurie, Daniel’s tale will resonate with all wage slaves stuck in their daily office routine. Fanny Marquant dreams of becoming a successful writer but instead is working in a boring job and having an affair with a married man who keeps promising to leave his wife. When she picks up a mysterious hat left behind on the train, she decides to leave her lover and start writing. Pierre Aslan, once a premier perfumer and ‘nose’ of a big brand company, is sunk in depression, unable to create anything new for 8 years. Dressed like a hobo, he reluctantly takes a walk through the park to his shrink and spies a black felt hat on one of the benches. Translated by Jane Aitken this is probably my favourite tale of the collection. Bernard Lavallière comes from a good family but is getting tired of the class of friends he and his wife have to hang out with who are snobbish, conservative and intolerant. When Bernard takes home a black felt hat by mistake and purchases a slightly lefty newspaper, he scandalises all around him. Both the stories featuring Fanny and Bernard are translated by Emily Boyce. Although each story is separate, Laurain cleverly ties them together to produce a coherent book and it’s interesting to see how he does this. The hat acts as a catalyst and boosts the confidence of each character, enough for them to take the first step in changing their lives, something they have been contemplating for a long time. And all the while the hat has been on its journey, it’s owner hasn’t forgotten it and has been searching for it too. Each tale highlights the absurdities of modern life from petty office politics, extra-marital affairs, creativity and career and social position and makes you re-evaluate your priorities. One of the interesting things about the English translation commissioned by Gallic Press is that each tale is translated by a different person. You may think this would be problematic but it’s seamless and I was surprised to find this out after I finished the book. I would like to thank Gallic Books for kindly sending me a copy to review. soungs like a nice read! Hmm… I am intrigued! I’ve added this to my TBR list and as soon as I’m cashed up again, I’ll be off to buy it! I was also really impressed by this book – it’s a real gem. Thanks for the comments. Looks like the book’s had a lot of love from those who have read it. And for those of you who haven’t, it’s a little treat!